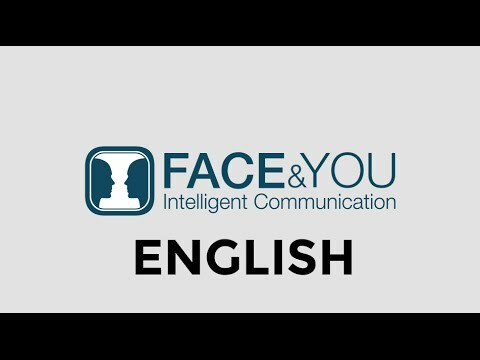 Faceandyou is an application of communication which organizes and works in mode SAAS. She uses several technological tools: the e-mail, the messaging, the EDM, the search engine. 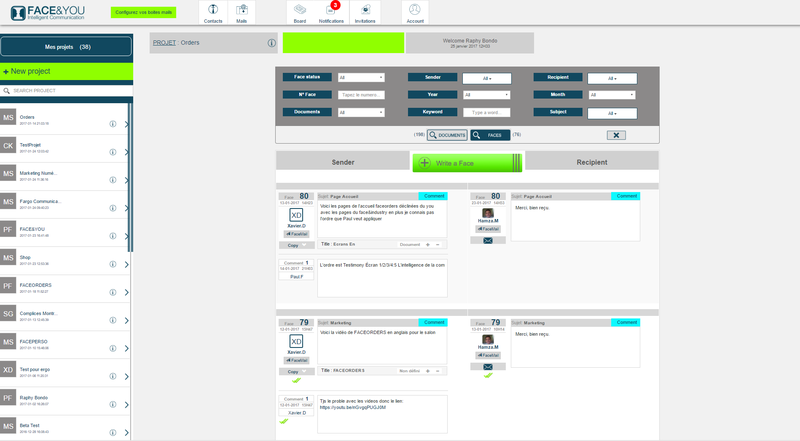 The system allows to manage projects and to collaborate within a team thanks to discussion said " Face to Face". 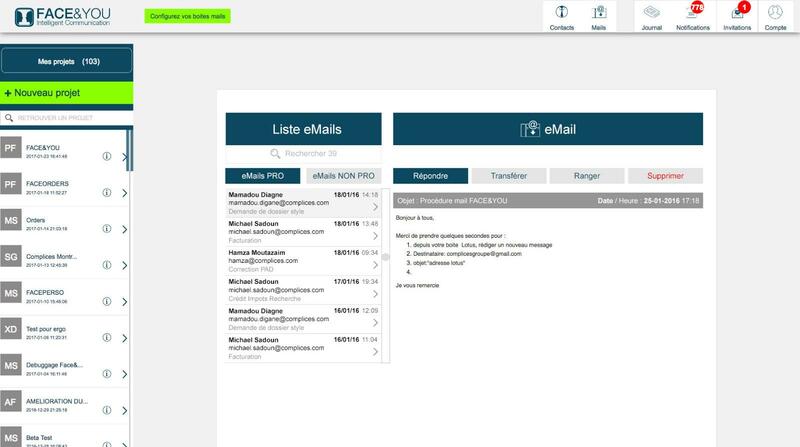 This feature allows you to integrate(join) all your e-mails. The senders are classified in two categories: professionals (sender identified by the user of the platform as a professional contact) and non-professionals (not identified sender as professional or new contact to be identified as professional). Furthermore, all the spams are excluded from the platorm. The platform Face&you improve the relations between the various collaborators. 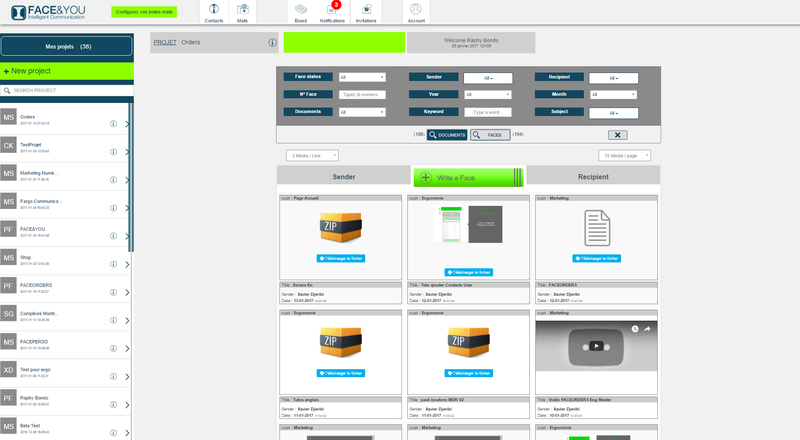 All the knowledge is recorded on the platform and reusable, the knowledge of the company and its knowledge and accesssible by all the collaborators (transmitter, addressee or in copy) concerned by the project. A project can be defined according to activity example: a mission, a reference, a lease etc. ... because the platform does not manage a job but existing communication in the jobs. From now on, the knowledge is not any more only in the e-mail box of the collaborators, it is centralized and protected on the platform and so reusable.